Well, we made it through our first week in Quito, we can say a few more things in Spanish after our wonderful class with the best teacher in the world, Aurra! We then journeyed to the beautiful mountain town of Otavalo. 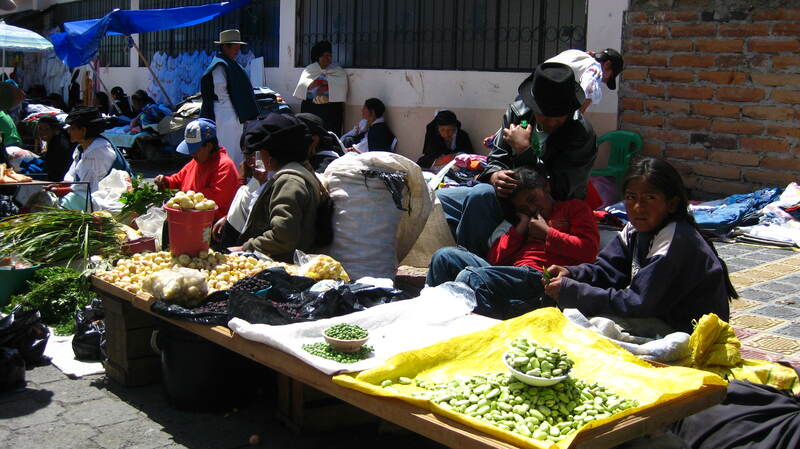 Otavalo is known for the enormous Saturday Market. This is a photo of the Market, which continues all week, on a Sunday. On Saturday, however, the streets put this amazing site to shame. Men, Women, and children line the streets, selling their goods to locals and tourists alike. 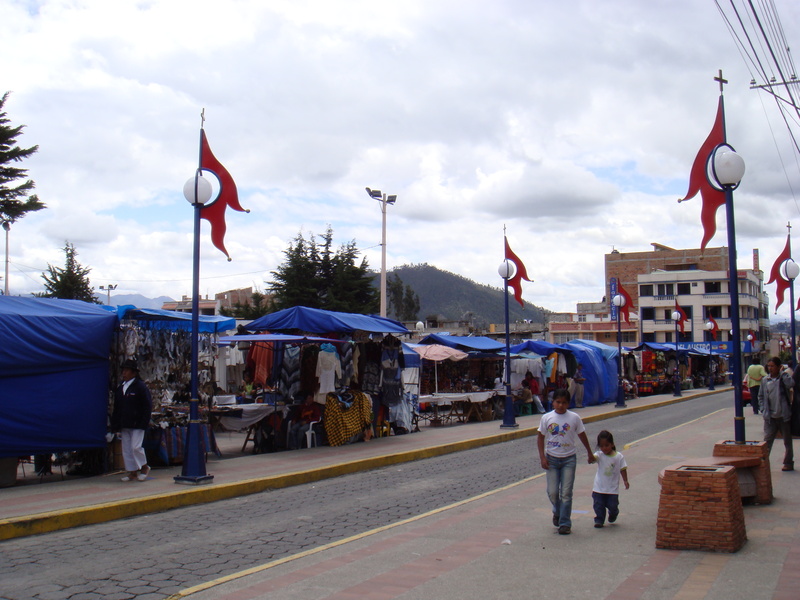 The markets stretch throughout the town, winding down every road, on every available space. 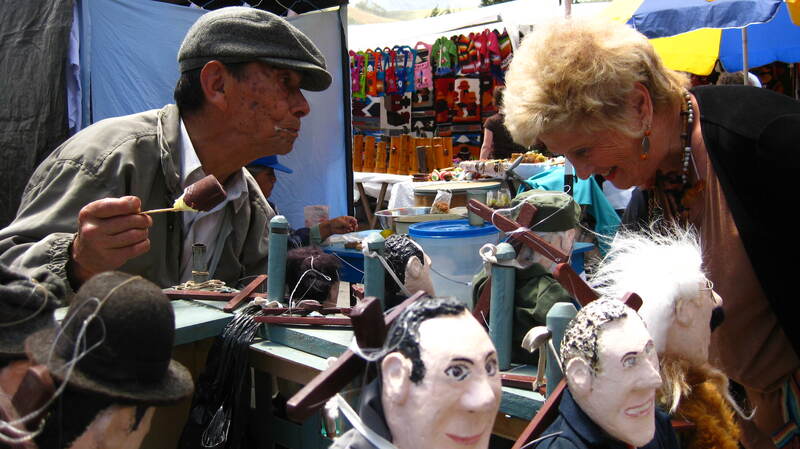 They sell everything imaginable, from fruits and veggies, to basic household needs, gifts made of wood, metal, fabric, plastic- if it’s available in Ecuador, you’ll find it in Otavalo! We explored the market all day long, meeting people, taking pictures, buying gifts. We even ran into our translator, Tim, among the crowds of people. We had left our cell phone on the bus, and he was unable to call us, but he walked around the market and walked right up to one of the groups. It was truly shocking, and was a behavior we came to expect from Tim. Without warning, whenever we needed him, he’d be there. He became more than a part of our group. He became a part of our family. 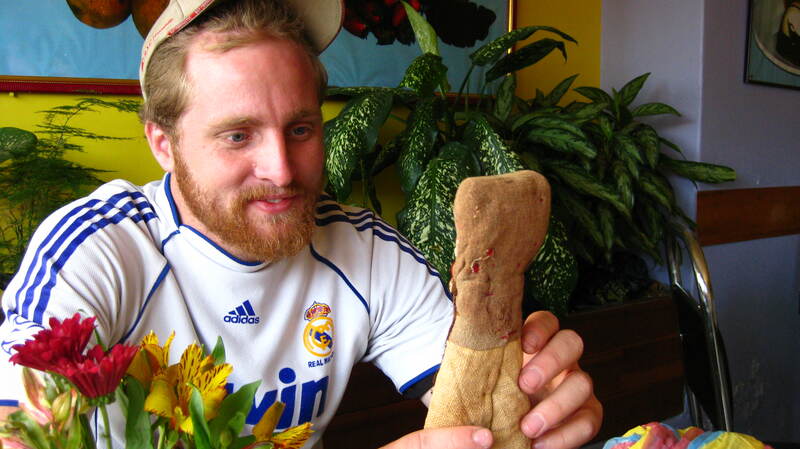 Here he is admiring a gift, a doll purchased for his niece. 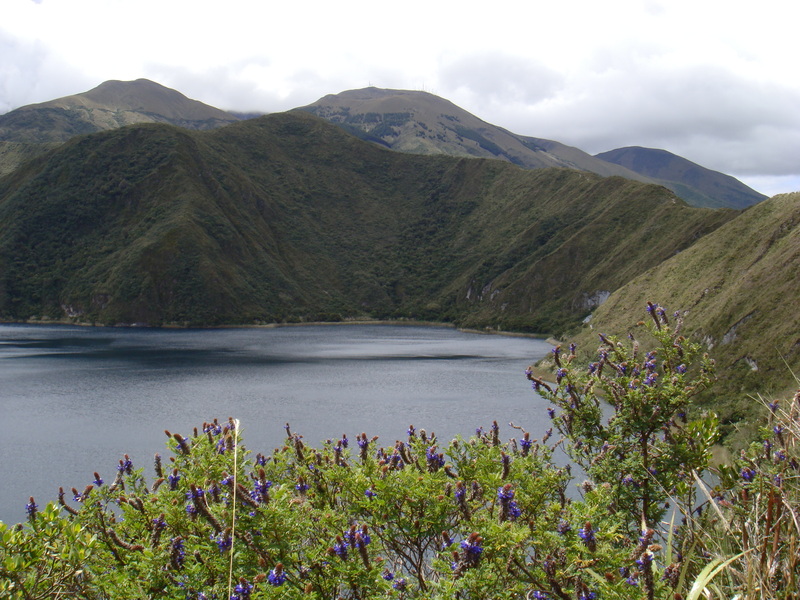 After the Market, we had a chance to go and visit our first (of many) crater lakes. We climbed almost half way around the opening before our director, Jesse, found a nice little spot for rehearsal. After the rehearsal on the rim, we went to dinner at this little spot overlooking the crater. 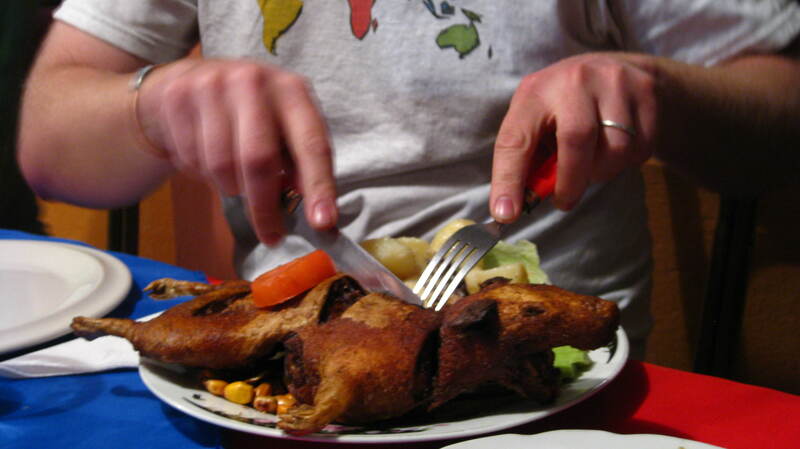 Jesse and Tim decided to split a dinner… this is what they picked… guinea pig! 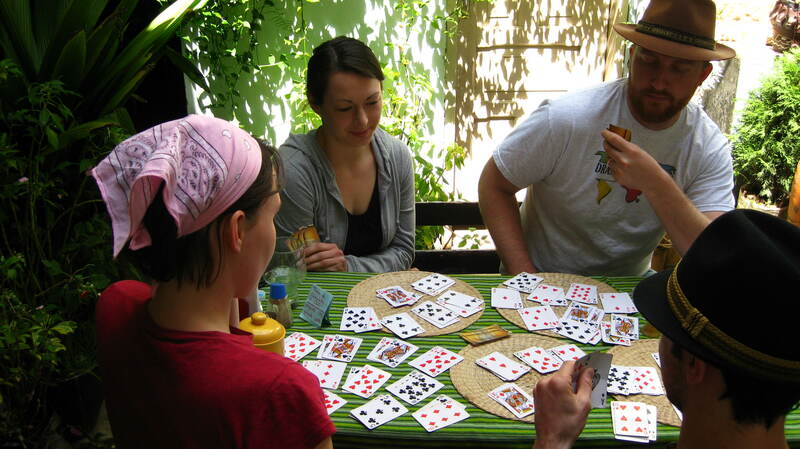 Also in Otavalo, Jeremy spotted a nice little hippy breakfast joint (pun intended). We ate there twice and it was delish! 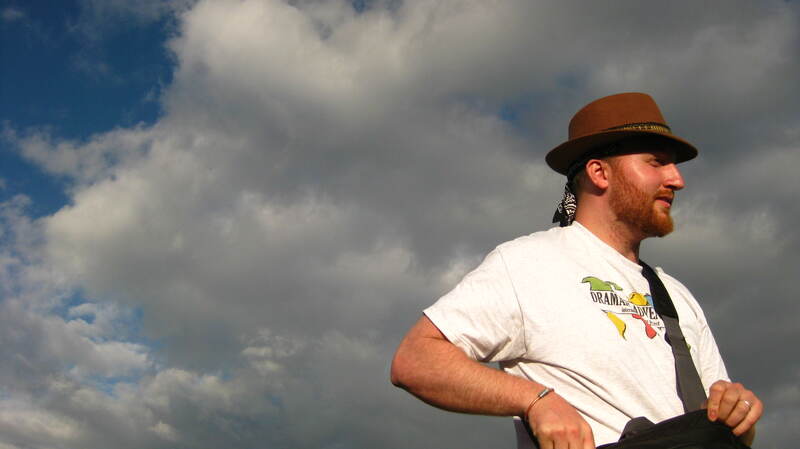 We only spent 3 days in Otavalo, but they were a blast, and we really learned a lot about Ecuador… and it’s tourists. Can’t wait to get back! Newer PostRockin’ out in Esmeraldas!